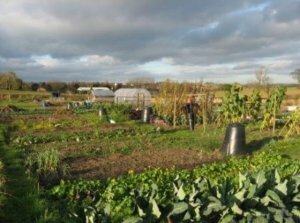 Ellistown & Battleflat Parish Council owns the allotment site on Midland Road but day-to-day management has been delegated to the allotment society formed to represent the tenants – Ellistown Allotment Society (also known as EAGS). There are currently 41 plots on the Midland Road site. To put your name on the waiting list for a plot please contact EAGS Secretary Claire Burden on 07866 525661 or claireaburden@gmail.com Please note priority on the waiting list is given to residents of Ellistown & Battleflat Parish. EAGS organises an Open Day/Plant Sale on the site in May each year which provides an ideal time for anyone interested in a plot to have a look round and meet some plot holders. 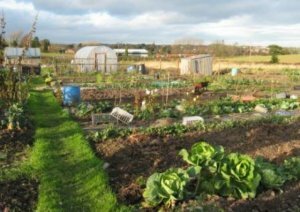 Membership of the society gives plot holders public liability insurance, discount purchasing schemes and legal advice on allotment issues through EAGS 'affiliation to the National Allotment Society.. Photos and more information about the site, as well as more details about EAGS and their events can be found on their Facebook page: Ellistown Allotment Society.